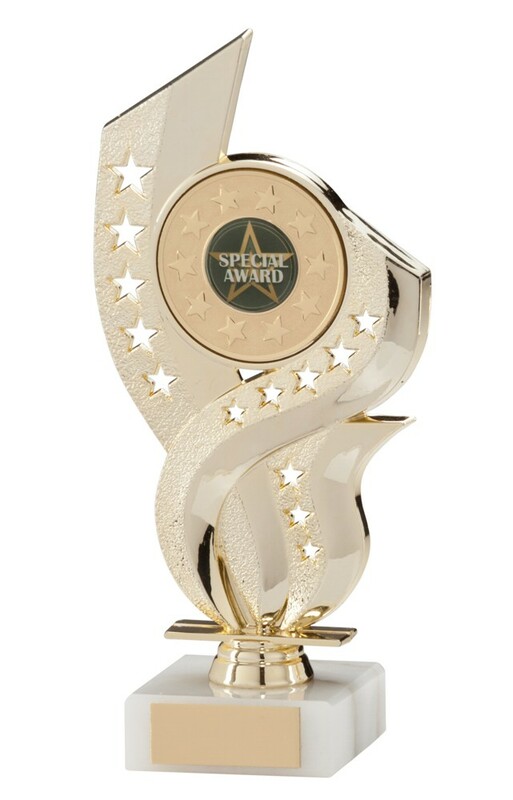 Any Sport Gold Unity Star Trophies. Available in 2 sizes, 115mm and 190mm high. 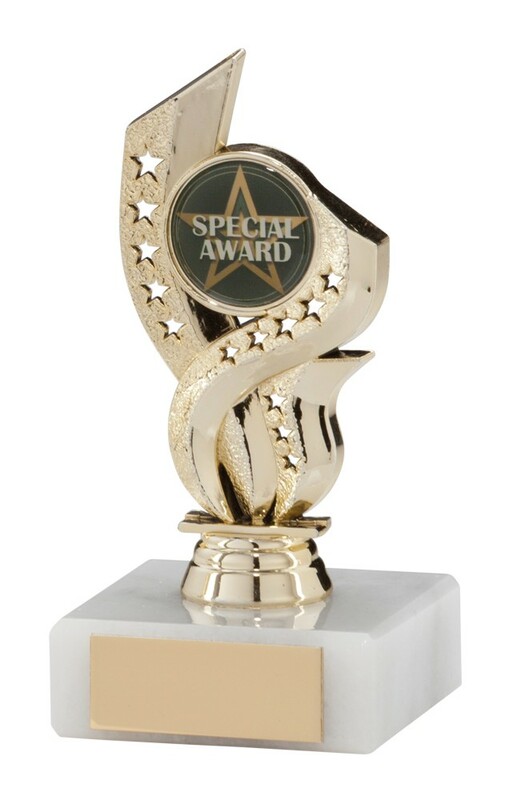 Gold plastic award on a white marble base.